Evidence of sheep was everywhere. 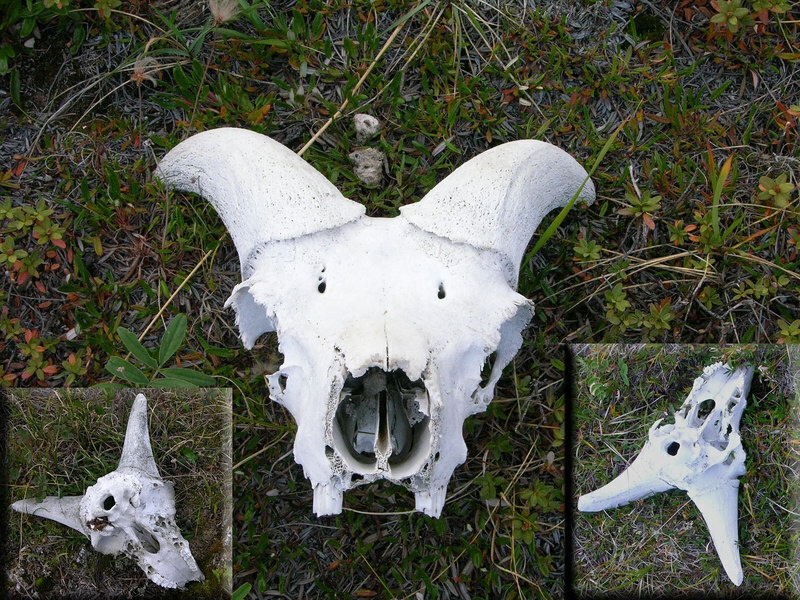 Not only pellets, but also three ram skulls. We nicknamed this place Ramskull hill. And sheep? We saw not a single live one. Perhaps they were elsewhere this time of year?